Identity Theft has been identified as America’s fastest growing crime. Identity theft occurs when someone unlawfully uses another person’s identity to commit a fraudulent act in violation of law. This can occur when someone uses your identity to obtain credit in your name, make purchases, commit tax refund fraud, mail fraud and other fraudulent acts. Identity theft costs its victims billions of dollars each year. This is very scary, so you maybe asking the question, how can I protect myself against identity theft? Identity fraud can occur in many different ways, it is difficult to stop, but today we are going to share with you a few ways to help protect your identity. 2. 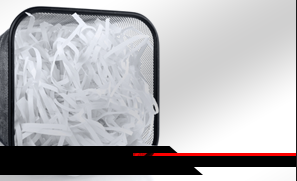 Always shred personally identifiable information, when it is time to dispose of it. This includes, financial statements, credit cards, health records, etc… Identity thieves still use dumpster diving as a method to obtain their victim’s personal information. Dumpster diving happens when personally identifiable information is discarded with regular trash and the identity thieves go through trash cans or dumpsters to find the personally identifiable information that was discarded. They retrieve it and then use it to steal your identity. 3. Don’t carry around your social security card or extra credit cards you are not using and use a locked mailbox. Do not leave mail in mailboxes overnight. Identity thieves will steal mail from financial institutions as well as other letters you receive directly from your mailbox. Once they obtain this information they assume your identity and your nightmare begins. Reduce the amount of prescreened and pre-approved credit or insurance offers you receive by mail. You can do so by calling 888.567.8688 consumer reporting agency to remove your name for five years or permanently. You can also go online to www.optoutprescreen.com. Be wise when it comes to your personally identifiable information, always protect it.